Folders are used in every business, even the most devout paperless company has at least one paper folder that is used in meetings or given to new employees. 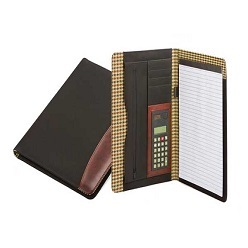 Our A4 Folders can be used in any meeting, event or even just to take notes in your day to day life. Branding them is easy; our team of consultants can easily help you to find the perfect A4 folder for your corporate and promotional needs. Using our quick quotes system helps to ease your ordering process further, simply choose which ones you want, fill in the necessary details and wait for our team to contact you within the next 24-hours.